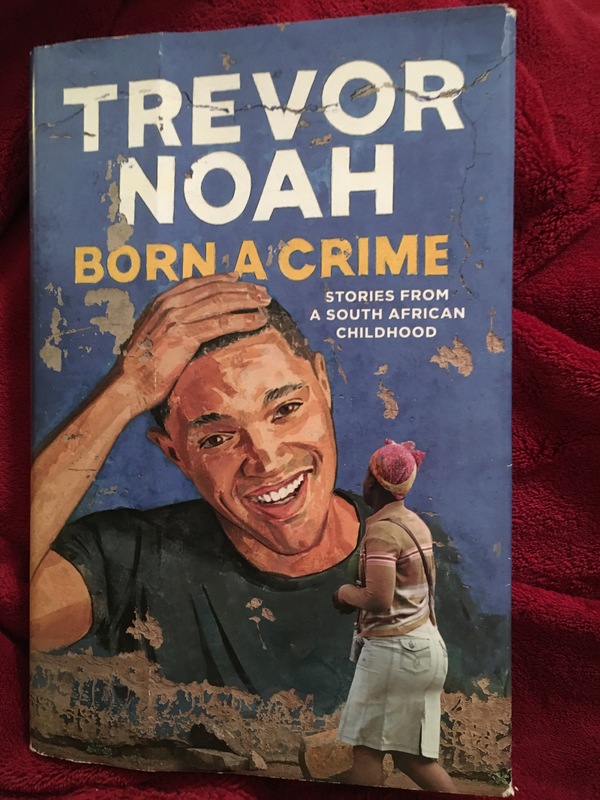 In my quest to read 25 nonfiction books in 2017, I have started with Born a Crime by Trevor Noah. This was a really good book to start my quest on. When I choose a book to read, I look for one that will give me some insight into a worldview that is different from what I currently understand. I love being able to carry away nuggets and/or quotes from the book but, my favorite is to be absorbed into new people, new cultures and new ideas. Noah’s book gives some historical accounts of Apartheid and his own personal experiences. This compilation of stories made me laugh as well as made me ponder. I also drew some insight into the South African culture and it’s different races (I’m sure this was only the tip of a very large iceberg). The stories are told in such a vivid manner that they pull you in and take you to a very faraway place that is also very near and very real. I knew the concept of apartheid but I did not know how expansive the ramifications were. Told in humor yet realism, you get a real picture of the true damage to lives and to mind. I often see or interact with persons in wonder what their journey really is. I wonder also, how did they get to the very point that we meet today. This young man’s journey often had him pinned against the odds of … well, everything -and it would have been difficult at best to overcome. But, he was blessed to have something dear and precious to help shine the light on a different path for him to follow -his mother. Patricia, Noah’s mother, and her family provided an infrastructure that would allow him to grow and be protected and yet to take chances in life. I sense that she is a woman to whom I would have relished the opportunity to meet. Her strength, resiliency and stubbornness is amazing in the feat of her environment. She has a no nonsense Jesus, the whole Jesus and nothing but Jesus approach to life and she holds true to what she believes. Now, the quote that I take away from this book, “you will often hear it said, give a man a fish and he’ll eat for a day. Teach a man to fish, and he will eat for a lifetime. What you don’t say is, and it would be nice if you gave him a fishing pole”. Teaching/learning a skill is one thing. Ensuring the tools for success is another. A woodworker can learn the skilled art of making beautiful furniture and cabinets but without the tools to cut, carve, chisel, smooth, and blend, -all the apprentice has is an unused skill. The title of this book comes clear early on. A human born of one black parent and one white parent is somehow a crime. So now this child has to navigate a world where he is not accepted fully by black, white, or colored. I often ponder why must we put each other in boxes? When we are born we must choose a box -either white, black, African-American, Latino, Asian, Chinese etc. being human is simply not enough. This book is full of insight through stories that help us gain knowledge and understanding of another’s world through the experiences told by another brilliant human.